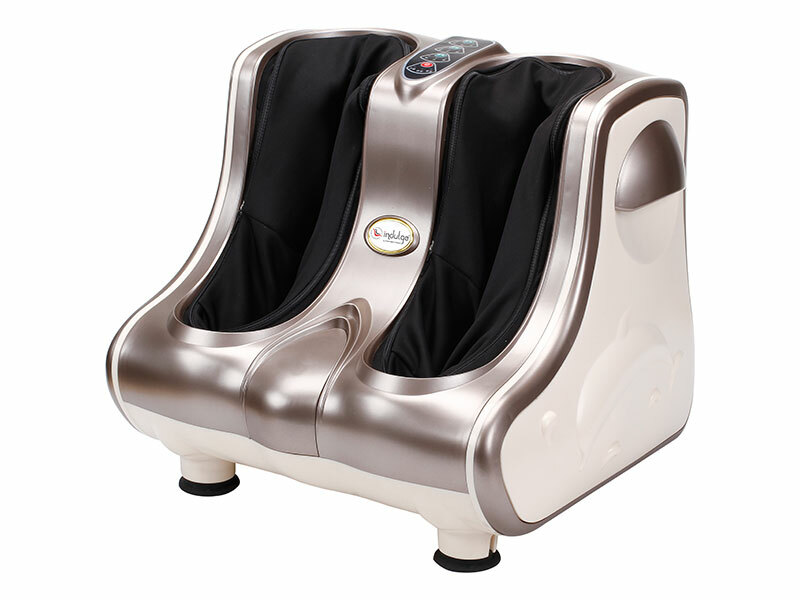 Indulge IF-8008 Leg Massager by Powermax Fitness massager has a sharp look and it’s quite neutral with silver grey color on the outside and a black inside: simple and efficient. The cover is removable and washable for hygiene and it is durable as well as flexible. The foot and calf kneading will help you relax and ease the pain and stress that has been put on the feet and legs in general. 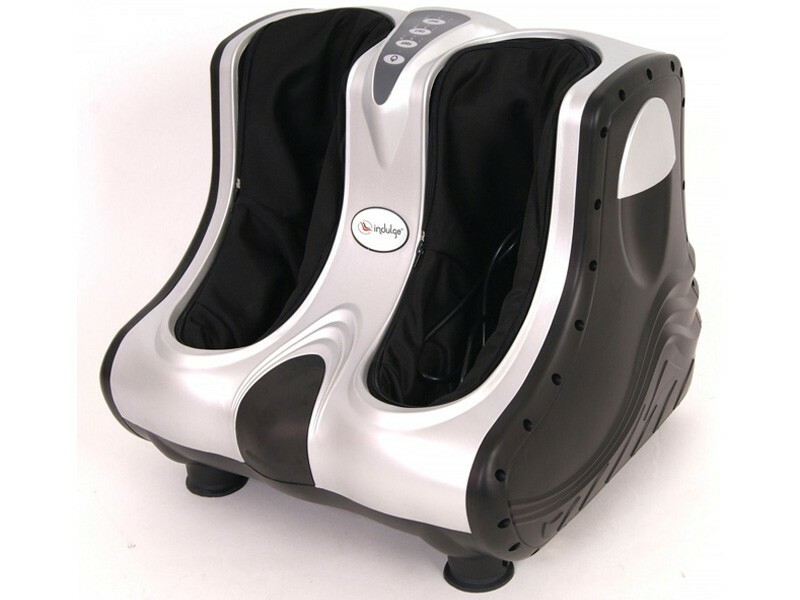 Indulge IF-8008 Leg Massager by Powermax Fitness massager has a sharp look and it’s quite neutral with silver grey color on the outside and a black inside: simple and efficient. The cover is removable and washable for hygiene and it is durable as well as flexible. The foot and calf kneading will help you relax and ease the pain and stress that has been put on the feet and legs in general. 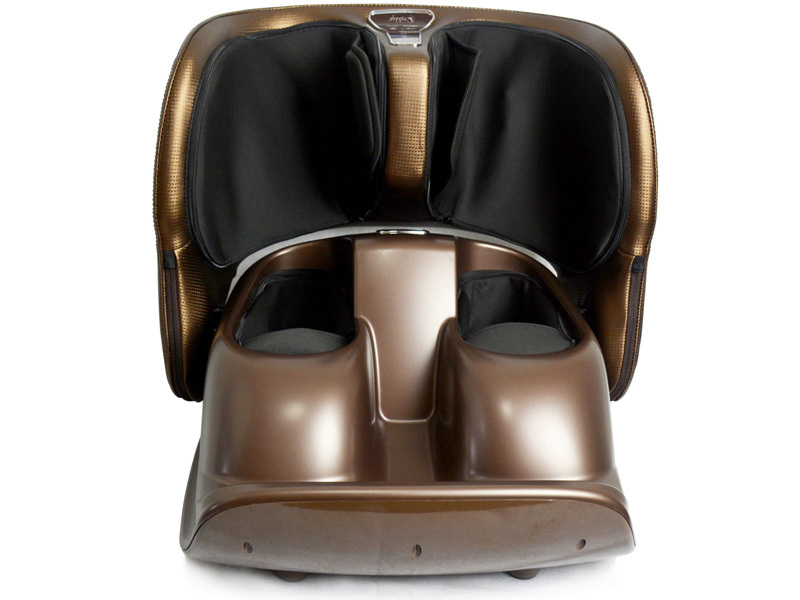 This leg massager has been conceived based on the massage therapy and is configured to aim at specific pressure points. It can seem a bit heavy and difficult to carry around but you have two handles on the side to lift it easily. 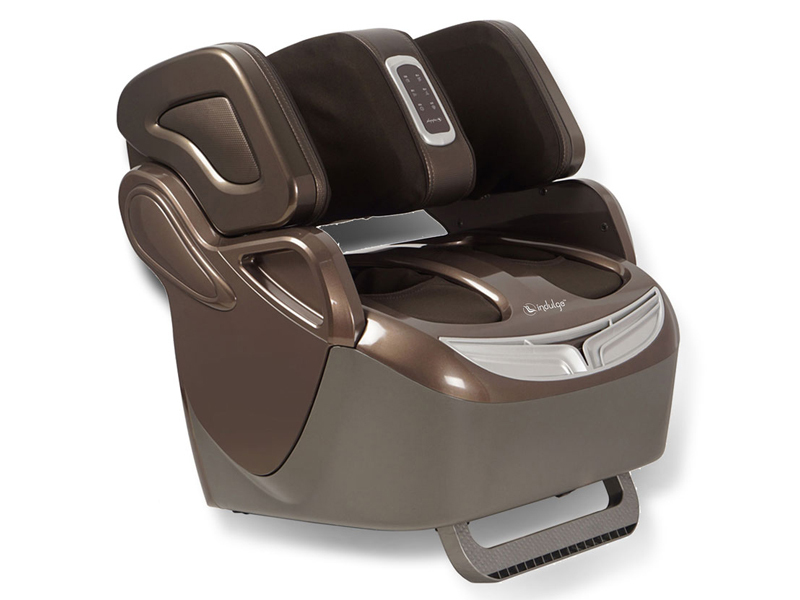 The adjustable bracket on the bottom of the leg, foot and ankle massager will enable you to achieve the perfect angle and inclination for your relaxation session. 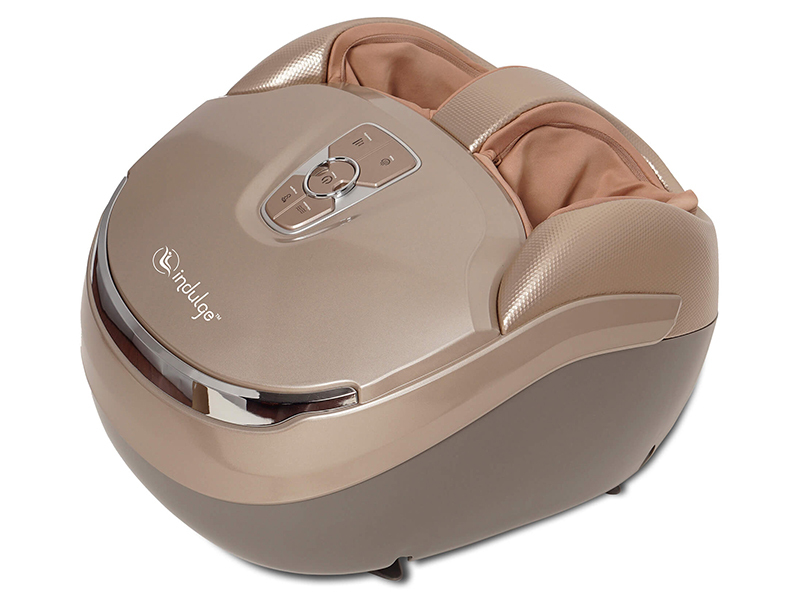 Indulge IF-8008 Leg Massager also offers functions as Intense Roller Reflexology, The Heating Function, The Vibration Therapy and The Unique Air Pressing Function. 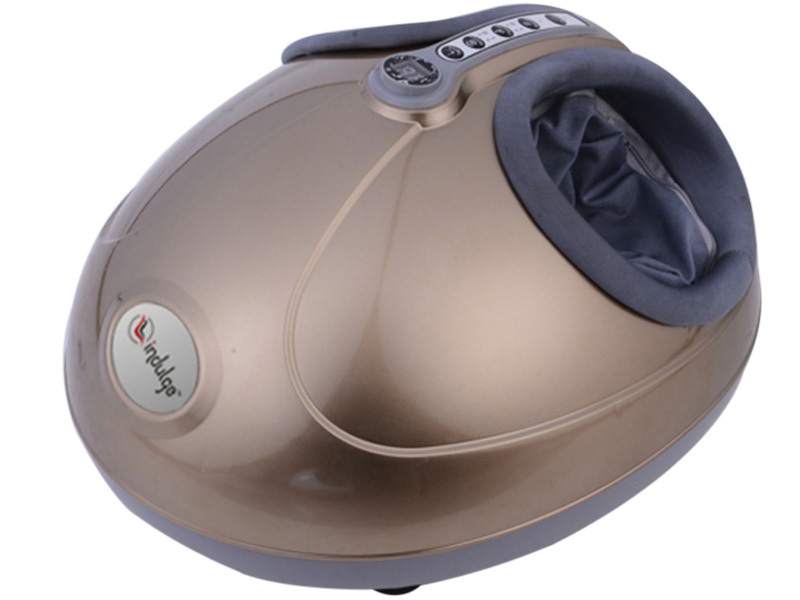 This massager also has the pressure nodes located under the feet stimulates the reflex points of sole and helps to relax muscles. 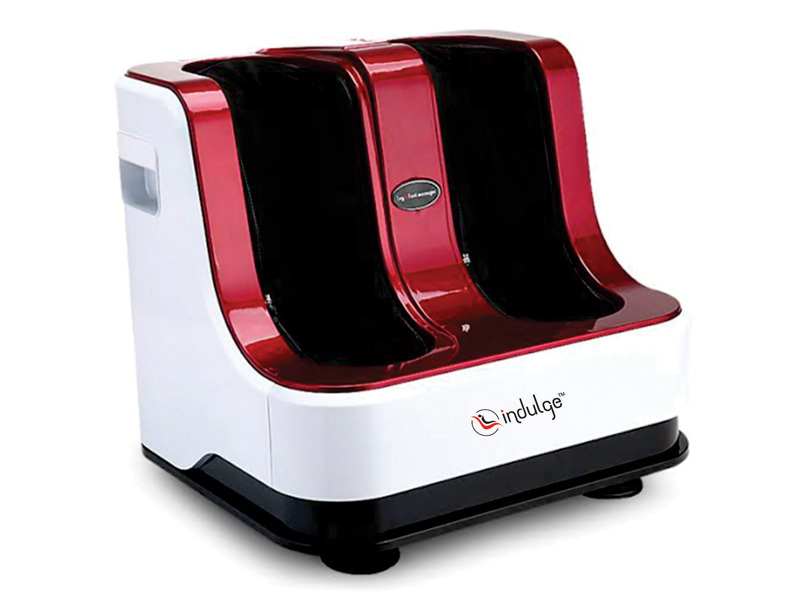 It has 4 motors and 3 massages Speed: High, Low and Medium. This massager gives instant relief to the pain.